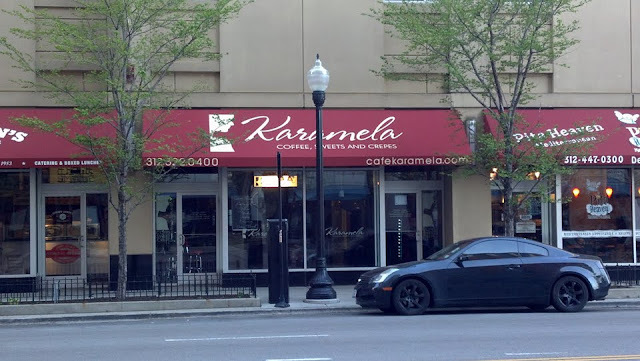 The 1200 block of South Michigan was oh so close to having 100% occupancy of the ground level retail space with the recent opening of Bottle & Botega and the impending opening of the UPS Store, Accents by A'ni and Karamela. 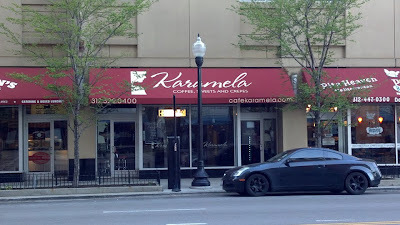 So the owner of Cafe Karamela decided to leave the amazing people he hired behind, with no explanation and disappears. For amazing baked goods and crepes, you can contact Krys Palomita Marie via Facebook. Don't forget to like the Painted Lady Bakery Emporium Facebook page! So we reached out to Krys and got a confirmation from her that this was indeed true. Pretty mysterious and unfortunate if you ask us. The place has been ready to go for awhile now, so it was strange that it was taking this long to open its door. Does anyone have the scoop? This is very particular, I actually walk by daily and have seen numerous things changed/moved inside... in fact just yesterday there was a bunch of new (very large) pottery sitting just inside in front of the counters. Who was operating the company's Facebook page? That's confusing. 2. The woman who made the fb post is named Krys Palomita Marie. This is her foursquare page: https://foursquare.com/kryspalomita. She is listed as "mayor" of Karamela. Note that she refers to herself as an "elephant wrangler" and "tattoo artist." 3. The fb post directs readers to look at the painted lady bakery emporium on fb, https://www.facebook.com/ThePaintedLadyBakeryEmporium. It has pictures of elephants; I'd surmise that Ms. Palomita is an independent baker that took a job at Karamela. 4. This is her LinkedIn: http://www.linkedin.com/pub/krys-palomita-marie/4a/70a/23a , confirming the above. I'm looking for connections between her and the names in #1. So far no luck.